Indira Gandhi’s elephant ride to Belchi in Bihar in 1977 to commiserate with the Dalit victims of upper caste oppression was supposed to have marked the turning point in the Congress’ declining graph. Though in real terms the Congress is much worse now with just 45 members in the Lok Sabha, the Nehru-Gandhi family’s political fortunes were at its lowest ebb in 1977 with the defeat of Prime Minister Indira Gandhi in Rae Bareli and her son, Sanjay Gandhi, in Amethi. The Congress might have had 153 seats in 1977, but the people had discarded its leader and her successor. So, expectedly, the party split. Stalwarts like Sharad Pawar, AK Antony and others abandoned the Congress. But after the 2014 Lok Sabha polls not a single opportunist from the Congress party has quit or crossed over to the BJP side. Why? One, they all have realised that the Gandhi family would retain the core of the party even after a split. Two, most of them cannot even win a panchayat poll on their own. Remember P Chidambaram’s humiliating third place in Sivaganga in 1999, behind the Congress and the BJP candidates! So, essentially all the Congressmen have been looking for a Belchi moment since the 2014 polls. And that has arrived. What is going to stay is the sound bite of Rahul Gandhi asking cops and reporters rhetorically, “what sort of a country are you trying to build,” in the context of the suicide of an ex-serviceman protesting against the government’s lack of “full implementation” of One Rank One Pension. Also, the image of an unshaven Gandhi scion in a police jeep, detained and taken away like any other political activist will remain stuck in the minds of the viewer. The Pappu moment has passed. What was most heartening was the young TV reporters’ cry, “Rahul, Rahul.” The feudal baggage of Ji, Saheb, Sir and such stuff was missing. They were not even calling him RG as Congressmen refer to him. The young reporters seem to be connecting with the 46-year-old politician, who suddenly appeared to be accessible. Of course, nobody knows whether Rahul would stay the course. Nobody knows whether he would suddenly take off for yet another vacation skipping a Parliament session. The reputation of being inconsistent is something that he built, which no one else can undo. But Rahul’s political persona seems to be suited for an oppositional role. The fact that this was after an extensive tour of poll-bound UP and that he foll­owed up the appearances at the hospital to see the body of the ex-serviceman with a visit to Bhiwani for the funeral prove that Rahul is investing quality time and energy in politics. The vibrancy of a democracy is measured not by the freedoms that the Constitution offers, but by the freedoms the Opposition tests. Fin­ally, there appears to be an effective Opposition to the BJP and the ruling party needs to sit up and take note of this change in attitude. 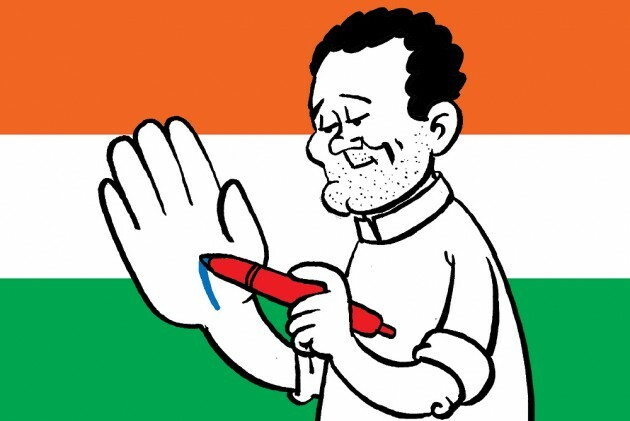 If Rahul remains steadfast he could emerge as a contender. Also, it is important to note that Grewal was a Dalit.